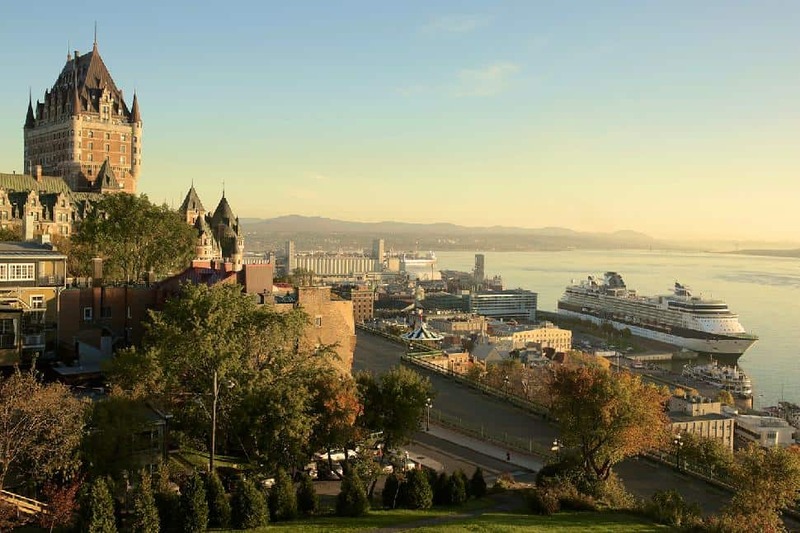 The province of Quebec has a distinct culture that stands out from the rest of Canada. 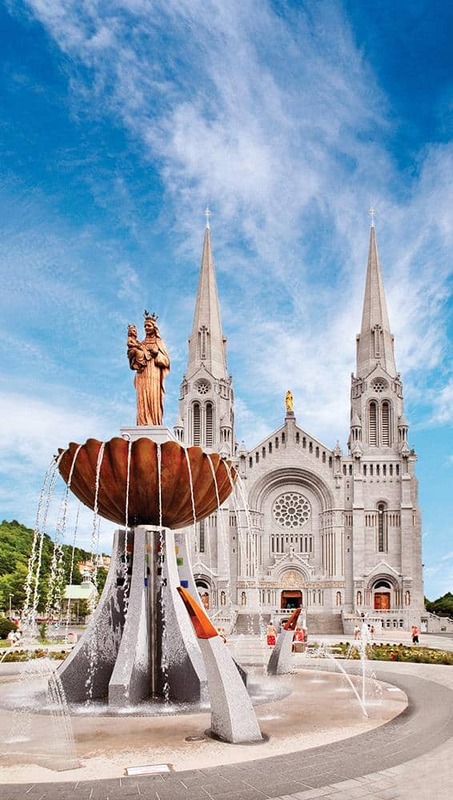 Quebec is passionate, vast, natural and aesthetically pleasing, whether it be in the northern mountains or beside the Old Ports of Montreal and Quebec City. With a rich history encompassing sieges, battles and bilingualism, the foundations of Quebec date back to the 16th century. Remnants of the past can be explored throughout the countryside and in the major cities today. 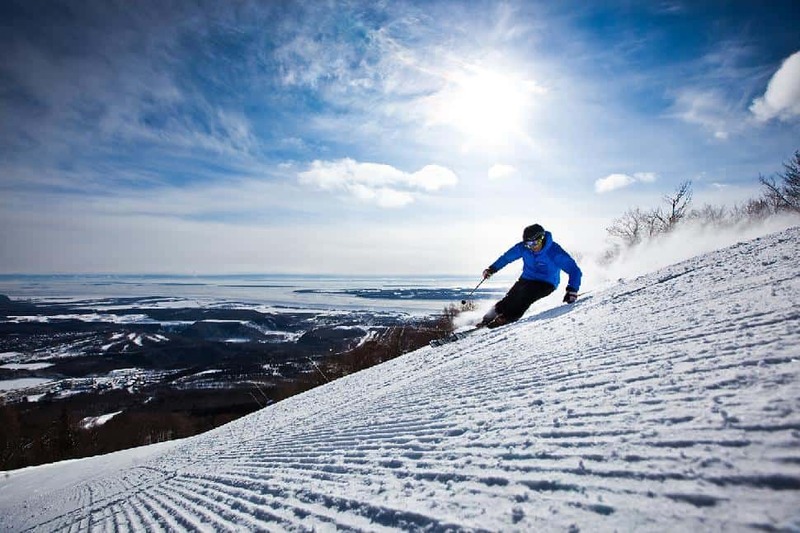 What many people might not know is how many outdoor activities Quebec has to offer. 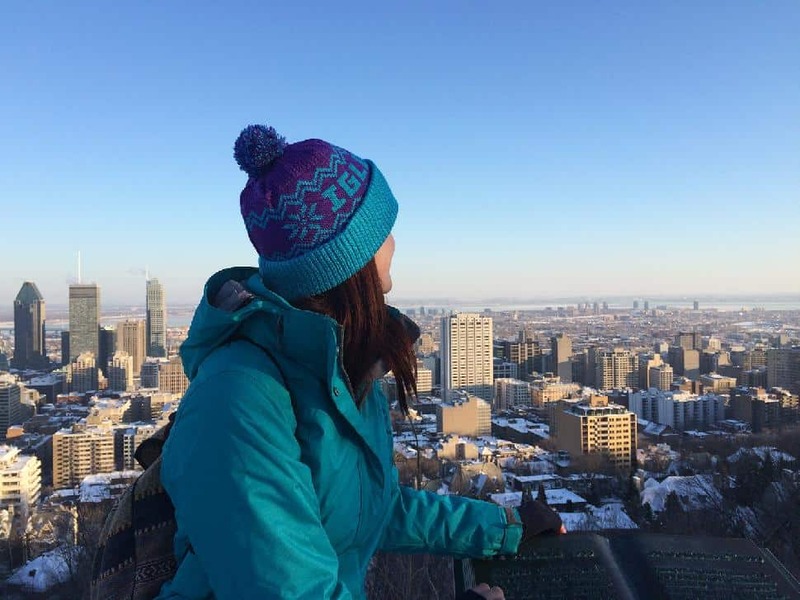 Similar to British Columbia, the prairies, the maritime provinces and the territories, visitors can go hiking, cycling, dog sledding, ice climbing, canoeing, kayaking and skiing across Quebec. Diversity is in abundance: sun tan on an island, go boutique shopping along cobblestone streets or ride North America's first virtual reality roller-coaster. It's all here. We’ve compiled a list of 89 exciting, jaw-dropping, heart-pounding, relaxing and educational things to do across Quebec. By no means is this an all-inclusive list; it is simply a sampling of some of the activities La Belle Province has to offer. Bring your student ID because plenty of these places and attractions offer discounts for students and seniors. Don’t forget your hiking boots, swimsuit and camera. Leave your prejudgments and stereotypes at home. One of the best things about being a tourist in Quebec is that there are so many unique activities, you couldn't possibly experience them all in one go. Here's a list to help you determine which attractions you'd like to see. 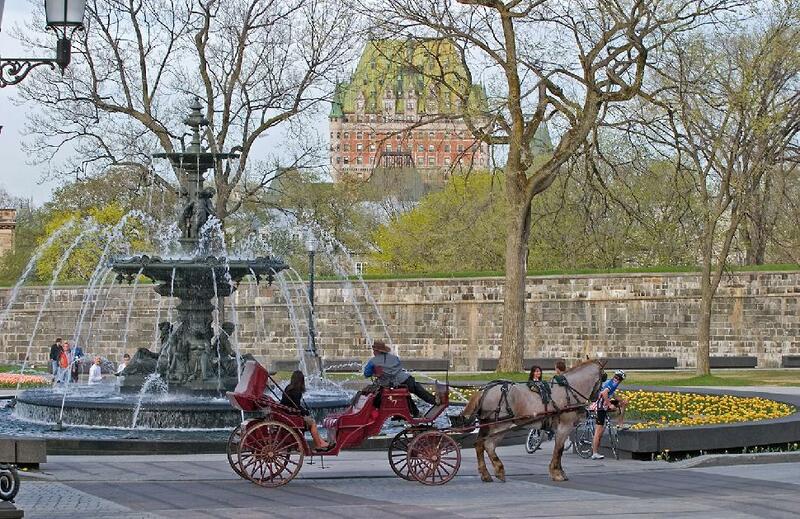 Description: Vieux Quebec (Old Quebec) is a UNESCO World Heritage Site, full of museums, restaurants and shops. Horse-drawn carriage rides and the New French-style architecture give the quarter a distinct European feel. 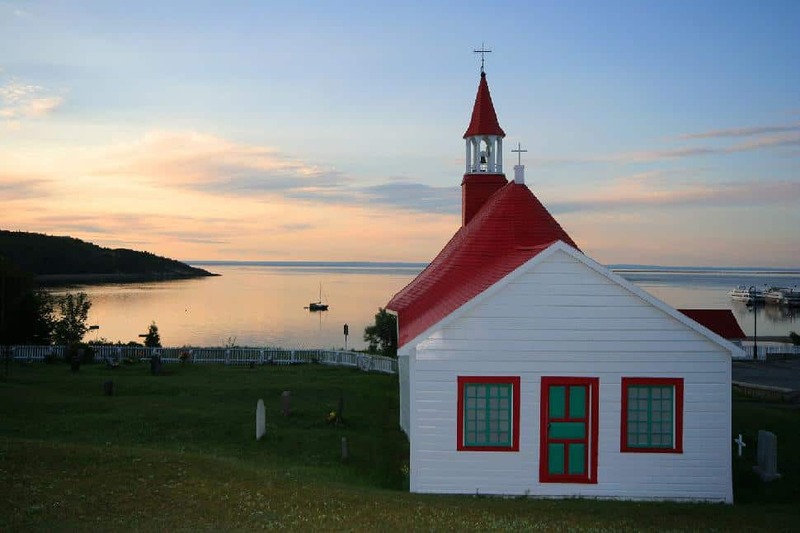 Description: Tadoussac is the jumping-on point for many whale-watching cruises in Quebec. Choose the type of boat you’d like to board or find a good viewpoint from the shoreline. If you’re lucky, you’ll spot a number of marine animals (including 12 specifics of whales) breaking the surface of the water in the St. Lawrence and the Saguenay Rivers. 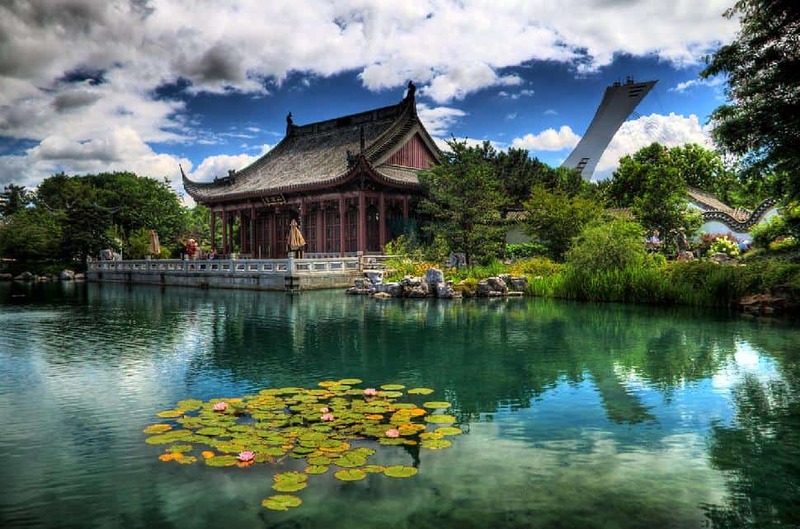 Description: The city of Montreal stretches across the horizon from the lookout atop Mount Royal, a 200-hectare park in the middle of the city that includes the highest point in Montreal. Walking trails throughout the park offer an airy, green relief from the developed city. Description: This safari park is home to a range of Canadian wildlife, including elk, bison, grey wolves, black bears, caribou and beavers. 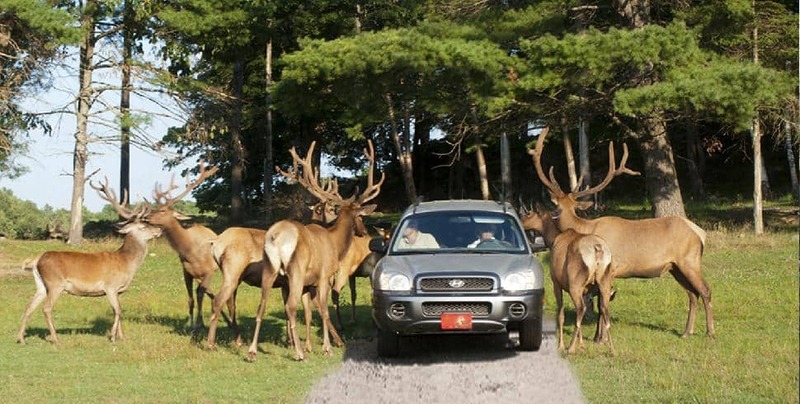 Open year-round, guests can drive around the park and walk on select trails, feeding the animals carrots from their cars. Please note that motorcycles are not allowed. Description: Thirty metres higher than Niagara Falls, Montmorency Falls is a sight to behold in any season, but it is especially impressive in winter, when icicles cling to its powerful chute. Visitors can explore the area by foot or cable car, go zip-lining, climb the Via Ferrata, or hike along the cliff and cross the suspension bridge that hangs above the raging waterfall. Description: Did you know you don't have to look as far as the Caribbean to find idyllic, white sand shores? The Magdalen Islands - or Îles de la Madeleine - have a unique ecosystem that provides Quebec with a gorgeous vacation spot. Millions of years ago, salt domes thrust up and linked the islands together. Today, spectacular beaches, fauna, flora, fisheries and landscapes rich with red and grey sandstone fill the islands, granting visitors a wealth of activities to engage in (such as hiking, cycling and exploring) or the opportunity to slow life down and enjoy. 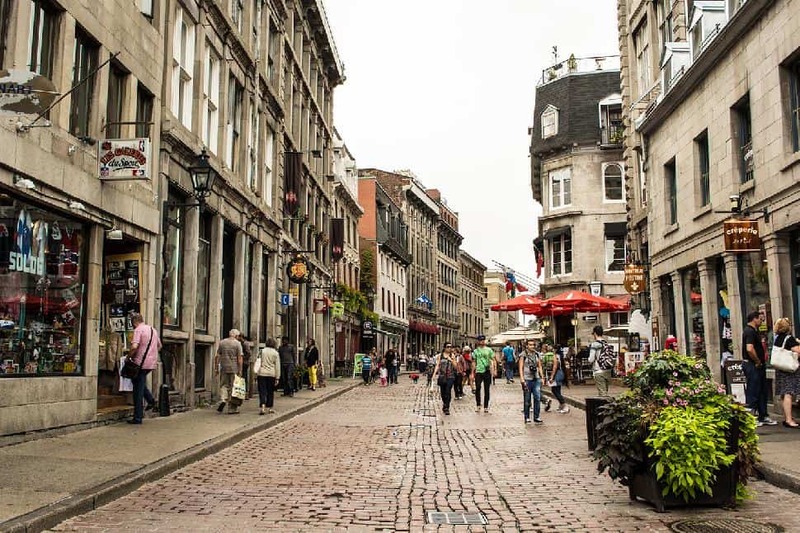 Description: Cobblestone streets bordered by 17th-, 18th- and 19th-century buildings that house art galleries, French restaurants and souvenir shops fill the oldest neighbourhood in Montreal. Walk to the Old Port, watch street performances and sit at a cafe terrace, overlooking the beautiful area. Description: Constructed between 1824 and 1829 in Gothic Revival style, this house of worship saw many changes over the past centuries. The décor of the basilique today is bright, blue and gold, a style adopted from Sainte-Chapelle in Paris. There are many ways to visit the church: attend mass free of charge, book a group tour, give a choir performance or come on a pilgrimage. Price: $10/Adult, $8/child aged 7-17. Description: Gorgeous white spires, stained glass windows and intricate wood-work make this sanctuary one of the most beautiful churches in Canada. Saint Anne, to whom the shrine is dedicated, was Mary’s mother—Jesus’s grandmother. The Basilica is open daily 8 a.m. – 5 p.m.
Price: $2/person; Mass is free. Description: In 1608, Samuel de Champlain chose this place to start a trading post. Over the years, it grew into a bustling market and became the home of many merchants and ship owners. In the square sits the oldest stone church in Quebec, as well as an incredible fresco that traces 400 years of Quebecois history. 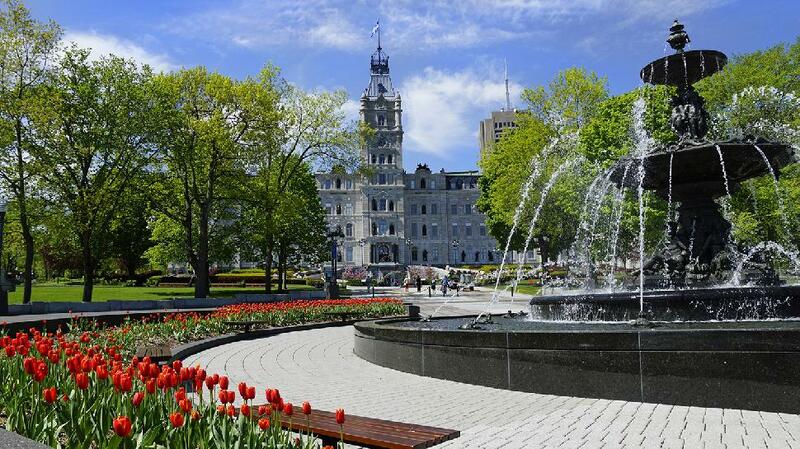 Description: Home to the government of Quebec, this 19th-century building has eight floors and stands 52 metres high. Unique from other Canadian Parliament buildings, it features the Second Empire architectural style. The building’s facade and grounds include twenty-two statues of influential individuals in the history of Quebec. Take a free, 45-minute guided tour of the Parliament building, beginning at the Visitors Centre. Description: Named by university students who studied in Latin at Université de Quebec à Montreal (UQAM), this neighbourhood is youthful and energetic. Trendy, bohemian and full of multicultural students, cafes, restaurants, bars, theatres and clubs span the streets. In July, the Just for Laughs Festival takes over the Latin Quartier. Description: The only elevator of its kind in the Americas, Funicular is certainly a unique tourist attraction. Glass cabins offering a panoramic view are propelled up a steep railway, connecting the Lower Town to the Upper Town. Alternatively, visitors can walk up the hill—but this odd piece of history (proudly operating for 125 years) is worth the nominal admission fee. Description: Offering a 360 degree panoramic view of Quebec City, this 31-floor, 221 metre-high structure is Quebec’s tallest. From the top floor, visitors can see all the way out to the Appalachian Foothills, the Laurentians and île d’Oréans. Price: $14/Adult, $11/student or senior, free for children 12 and younger. 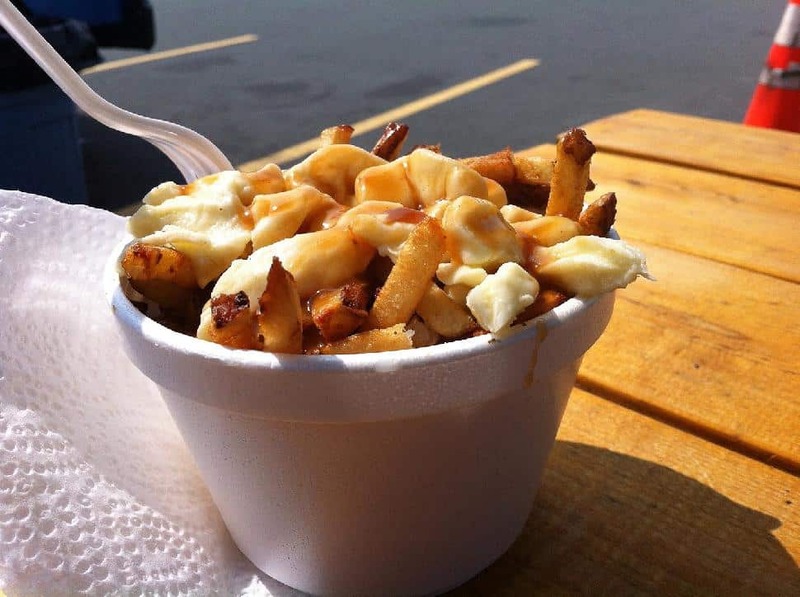 Description: Known around the world as a typical "Canadian meal," this incredibly unhealthy (but strangely delicious) combination of french fries, gravy and rubbery cheese curds is at its best in Quebec. Dig into an original or try a new poutine creation, with extra ingredients such as pulled pork or salsa. Bon appetite! Travellers often remember more about places they learned from, so enrich your vacation with some education. Description: The Canadian Museum of History is Canada’s national museum of human history (and the country’s most visited museum). With special and permanent exhibits, a children’s museum, interactive activities and a cinema, this museum is fun for the whole family. Price: $15/Adult, $13/senior, $11/student, $9/child aged 3-12. 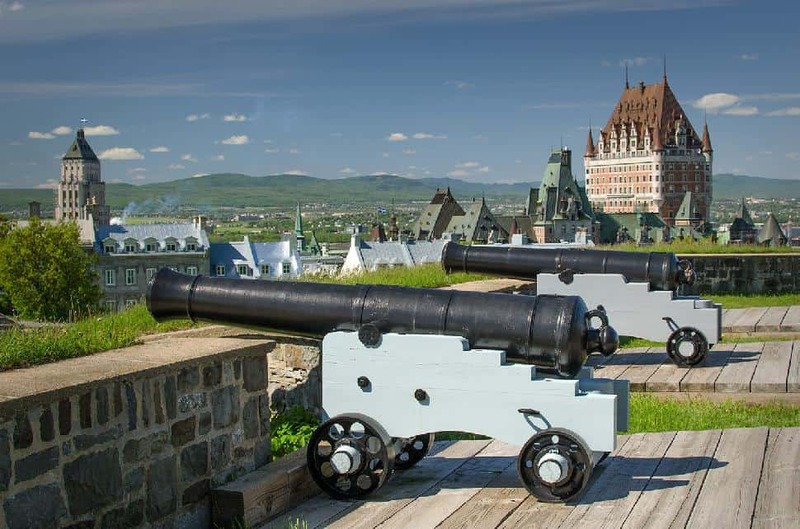 Description: Experience 100 years of history at the Citadelle, an active military fortress and museum atop Cape Diamond, the highest natural point in the area. Built between 1820 and 1850, the Citadelle is the largest British fortress built in North America. Wander between canons, listen to a guided tour and watch the changing of the guards. Price: $16/Adult, $13/seniors and students, $6/child aged 7-17. 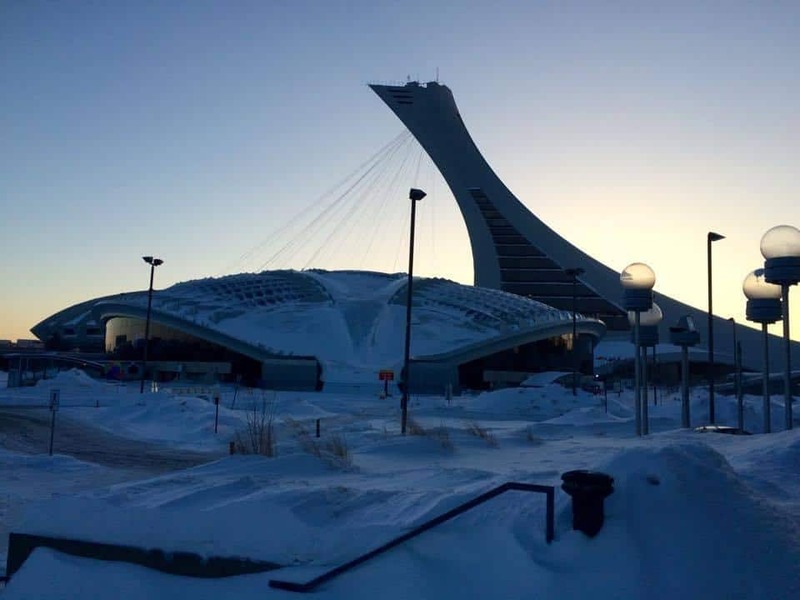 Description: Rather than let their Olympic stadium stand abandoned like so many other countries have, Montreal converted the 1976 velodrome into a biodome. Inside, visitors will find replicas of four ecosystems found in the Americas: the South American rain forest, the Laurentian forest, St. Lawrence Marine Life and the Arctic and Antarctic. Description: From historical food tours to the “Bury Your Dead” tour, based on Louise Penny’s best-selling book, Tours Voir (“to see”) Quebec offers small-group, English-speaking walking tours for those who want to know a little more about where they’re wandering. Description: Established in 1984 under the National Museums Act, Musée de la Civilisation is a government-run corporation. 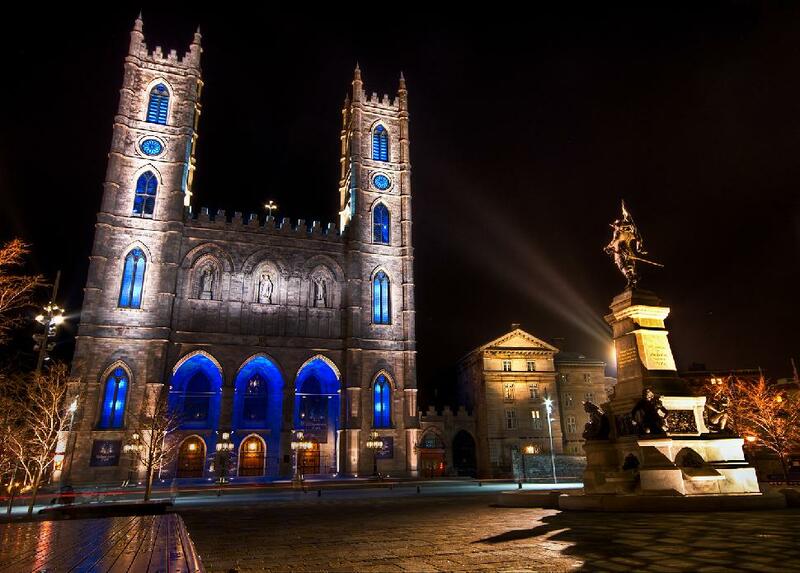 It showcases the creativity, culture and history of Quebec through touring exhibitions, guided tours and artifact collections. Price: $16/adult, $15/senior, $10/student, $5/child aged 12-16. 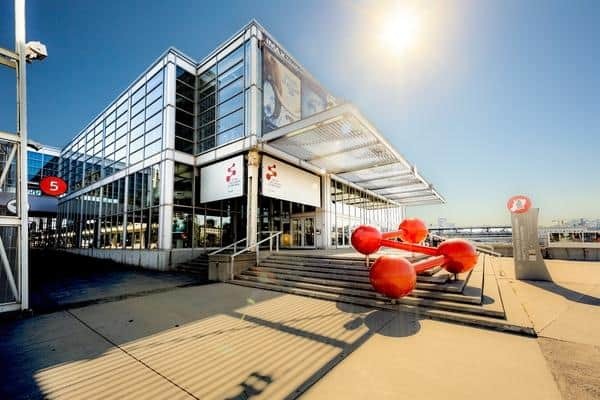 Description: With a Telus IMAX theatre, special events, games and experiments, Montreal Science World is a place of innovation and discovery. Exhibitions range from gadgets to human evolution, involving visitors in every process. Description: Climb aboard The Onondaga, Canada’s only publicly accessible submarine, and dive into 200 years of history at this Maritime Museum. Learn about the sinking of The Empress of Ireland and experience what life was like in Quebec in 1914, when the ship sank. Join a guided tour and explore lighthouse buildings built in 1909. Open June through October from 9 a.m. to 6 p.m.
Price: $24/adult (aged 16 and older), $17/child aged 8-15. Children 7 and under free. Description: This Canadian Railway Museum has educational activities for the whole family. 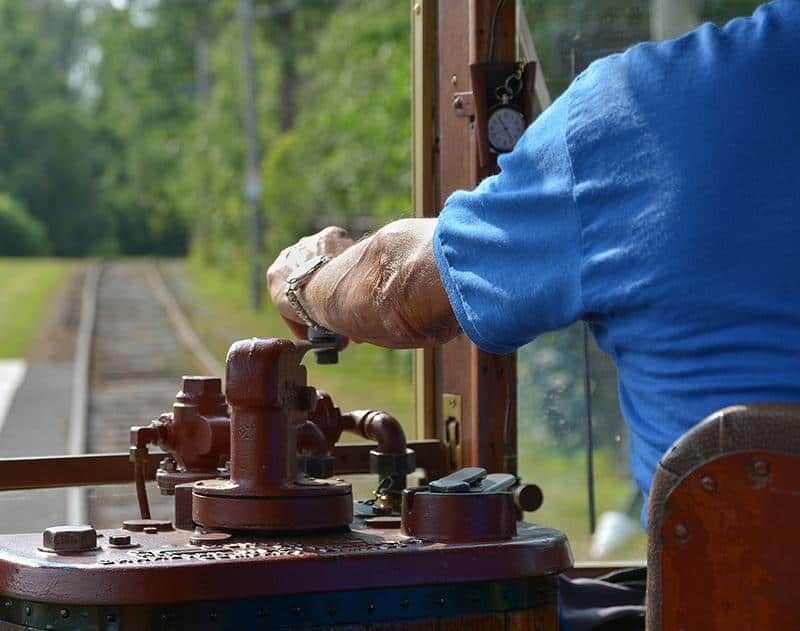 Take a ride on a miniature train, streetcar or passenger train or attend a theme day. Check the website for upcoming events. Price: $18/Adult, $15/senior, $11/student, $4/child aged 4-12. 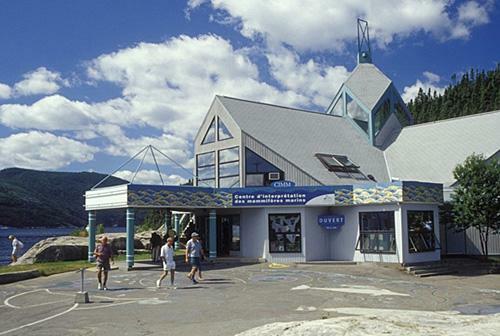 Description: Explore Canada’s sea life in this interactive, multimedia centre. Learn about marine animals through a collection of skeletons and get a singing lesson from a whale. Price: $10.50/adult, free for children accompanied by an adult. 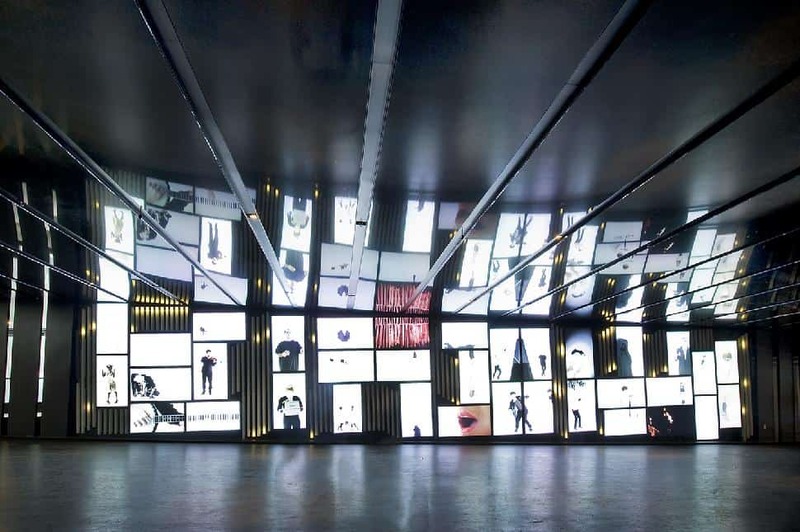 Description: The Montreal Holocaust Memorial Center takes on the task of educating the general public about the heavy, dark topic of anti-Semitism, racism, hate and indifference. This important museum preserves, remembers and sensitizes victims of hate crimes and mass genocide. Price: $8/Adults, $5/seniors and students. Quebec's culture is vivid and captivating. 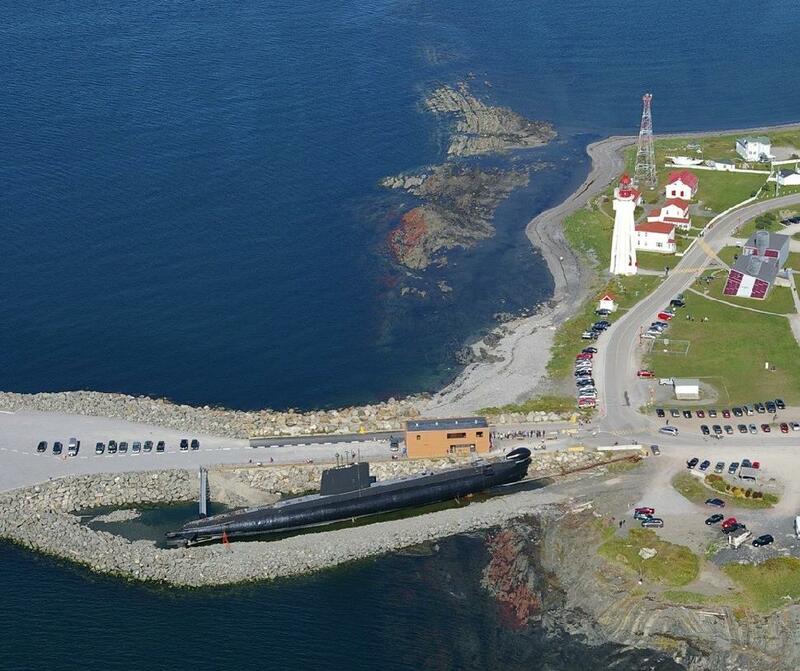 From Inuit sculptures to a fortress laced with canons, the province practically oozes cultural activities. Description: Stop by a log-cabin Cabane à Sucre, or Sugar Shack, for a traditional treat. Pour a line of sticky, sweet maple syrup over snow packed into a horses trough, grab a popsicle stick and roll up your own taffy. Delicious! 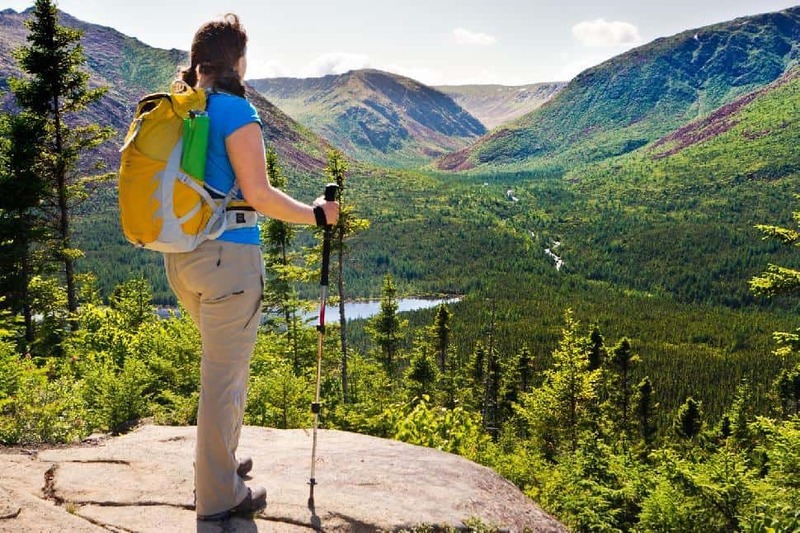 Parcs Nunavik takes guests on a 9-day guided expedition to the Summit of Mount D’Iberville, the highest peak in Quebec at an elevation of 1,652 metres. Hikers will learn about Inuit culture from their guides as they trek up the mountain. Description: Come to this neighbourhood for all your arts and entertainment dreams. 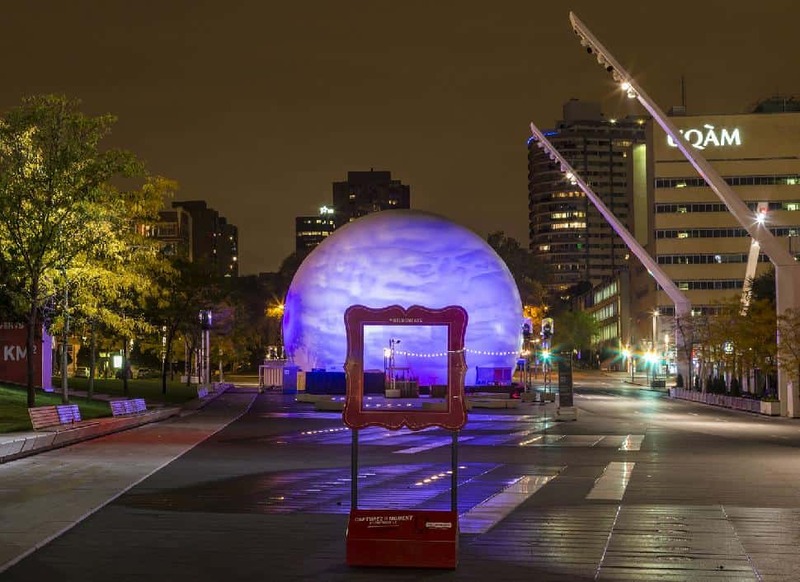 The Quartier des Spectacles is the hub of all of Montreal’s events and festivals. Even if nothing specific is on, it’s a great place to wander and catch street art, interactive modern art pieces and light shows. Description: This long waterway runs next to pedestrian and cycling paths that locals enjoy in good weather. The 14.5-kilometre canal is a National Historic Site, remembered for instigating the urbanization of Montreal’s southwest. Description: In 1759 and 1760, the Battle of Quebec took a pivotal turn at the Plains of Abraham. It was here that the British conquered Quebec and the fate of North America was sealed. The park has witnessed many deaths, including fallen soldiers and executions. The park is not only historic, it is beautiful; there are 103-hectares of meadows, grassy hills and fresh air. Description: Quebec’s stronghold was developed between 1608 and 1871. Today it is a UNESCO National Historic Site. 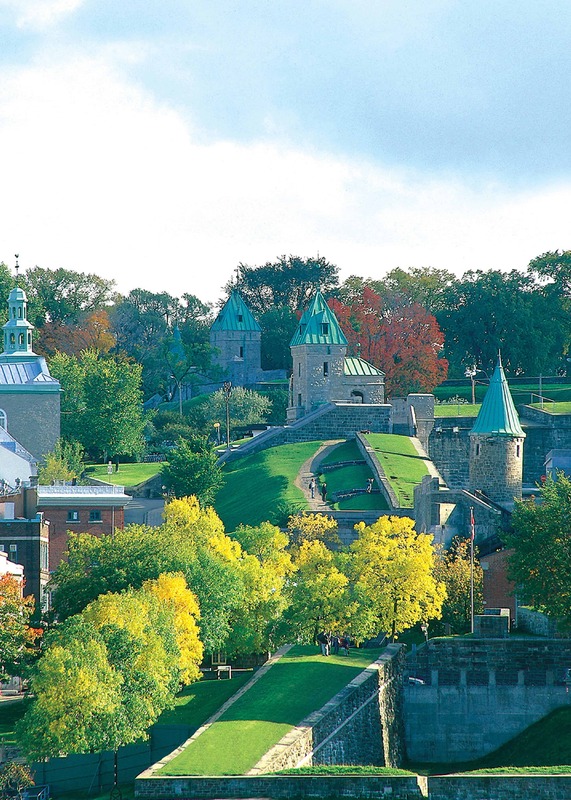 The fort circles Upper Town in a 4.6 kilometre stone circle, along which pedestrians can stroll, looking down on Old Quebec from scattered canons that give a feeling for the historical military presence over the city. 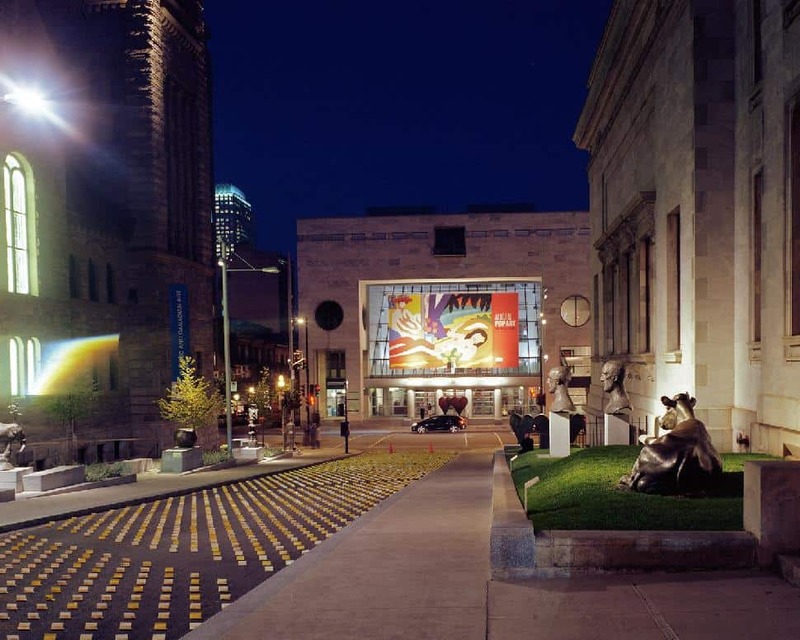 Description: Place des Arts is the hub of artistic activity in Quebec. A grandiose venue for music, theatre and comedy, this cultural and artistic complex is the largest in Canada. Watch a ballet, attend an opera or listen to Quebec’s best artists perform in French. 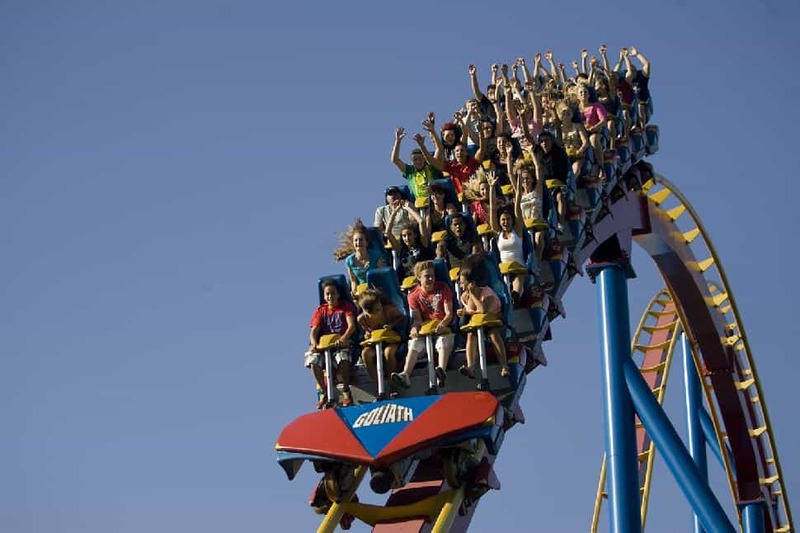 Description: Owned and operated by Six Flags, La Ronde is the largest amusement park in Quebec. New this year, the Virtual Reality Roller Coaster transports riders into an alien invasion through wireless headsets as they zip down Goliath. If that sounds too extreme for you, there are family-friendly rides, such as Toboggan Nordique, a replica of bobsledding, as well as a variety of shows, shopping and dinning options. Price: $63.99/Adult, $46.99/children under 1.37 metres and seniors. Children 2 and under are free. Discounts available online. Description: Get your heart pumping on a backcountry adventure through Gaspésie. Quebec Adventure organizes 4-day, 4-night shelter-to-shelter trips for groups of 8 or less in partnership with Parcs Quebec. All meals and transportation are included. Description: Have you ever wanted to jump out of a plane and fall 13,500 feet (4,110 metres) towards the earth? Nouvel Air uses some of the best technology and best training methods, in Canada’s largest dropzone. 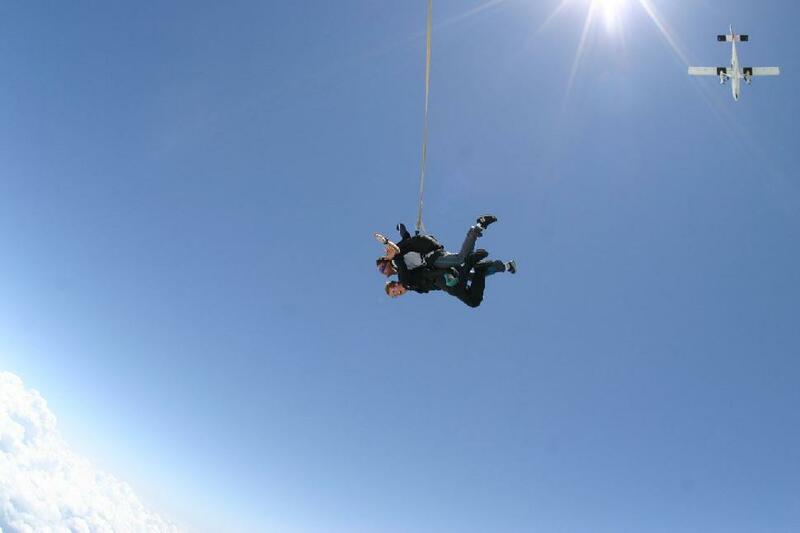 Experience 60 seconds of freefall, zooming through the air at 200 km/hour, until the parachute is pulled. The next 5-8 minutes offer stunning views across the Eastern Townships near Montreal. Description: Get high as the trees at La Fleche Park. 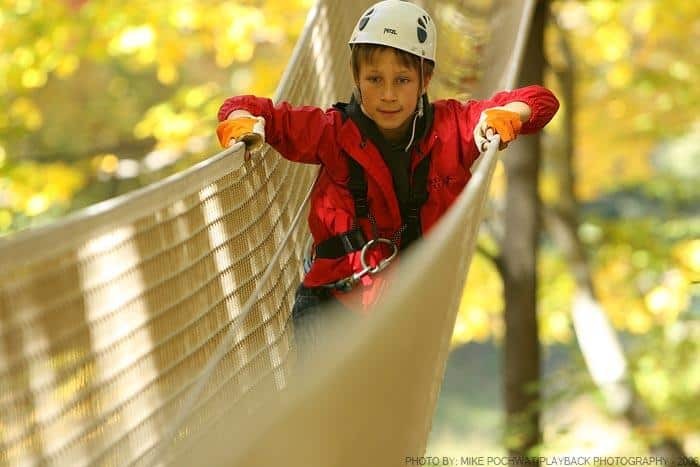 Travel across 45 suspended bridges and 9 zip lines, leading you from tree to tree and across a lake before scaling a rock wall with the help of Via Ferrata. If heights aren’t your thing, go below the earth in a Cave Tour or challenge your friends to a GPS race, instead. Price: $36/Adult aged 14 and up, $28/junior (8-13), $26/infant aged 5-7. Description: Eastern Canada’s ski terrain is often dismissed—meaning it is also often untouched. 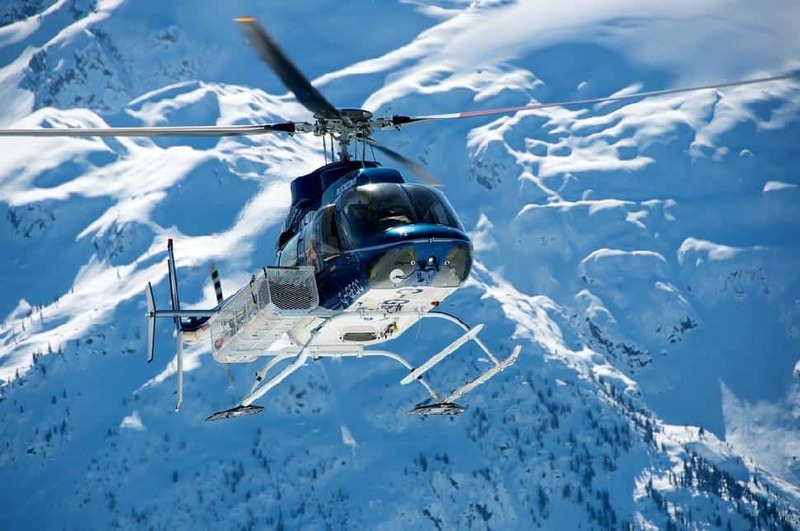 Create your own tracks through fresh powder on a full- or half-day heli-skiing excursion. Auberge Chic-chac (hostel) organizes overnight packages that include meals and a night at the hostel. Price: $1,100 for full-day one night, three meals; $650 for half-day, one night, three meals. Lakes, rivers, waterfalls, estuaries and the ocean. There are plenty of ways to enjoy Quebec's numerous bodies of water, such as ice skating in the winter and swimming in the summer. Description: Sea kayaking has become a popular adventure sport throughout Quebec. 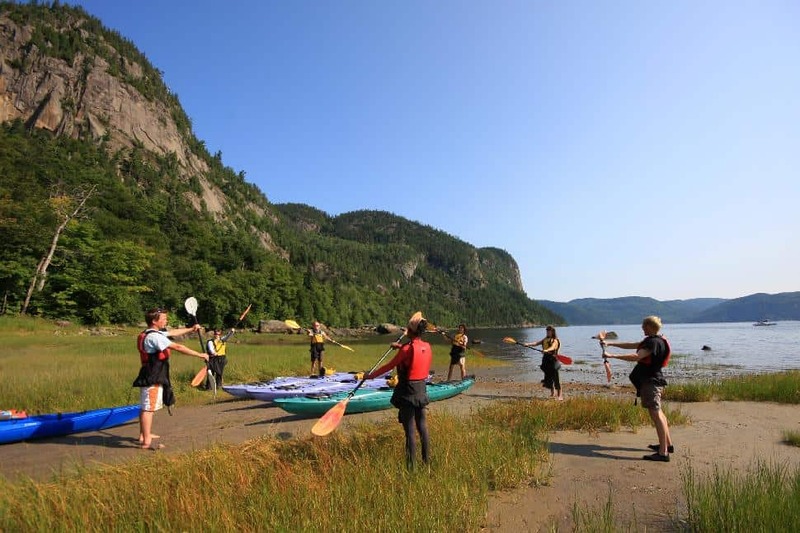 Paddle through Saguenay Fjord for a few hours on a guided expedition or take a 3-day, 2-night kayak tour to the St. Lawrence estuary. Receive training, high-quality equipment and gourmet meals with Fjord en Kayak’s overnight packages. Description: There are about a dozen places to go SUP boarding in Quebec. From Gaspé to Parc National d’Aiguebelle, calm lakes are the best place to learn how to balance on a stand up paddle board. However, this activity is more likely to relax you than it is to spike your heart rate. Price: Board, paddle and life jacket rental cost $20-40. 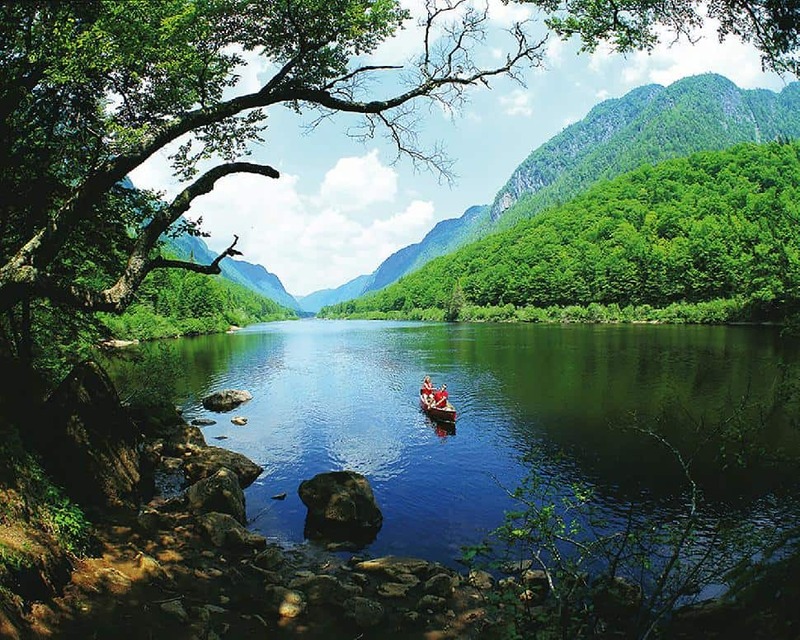 Description: A total of 61 canoe routes have been recorded throughout Quebec. Take an ultimate 13-day canoe camping trip over 313 kilometres, including 35 portages, at Tichegami River/Moon River in the Northern region. Circle 50 kilometres around Lake Kipawa on La Tortue Loop in the Abitibi Temiscaminge region. Push yourself to paddle Desert River, an intermediate, 60 kilometre route, in three days. Search the website database to find the right route for you. 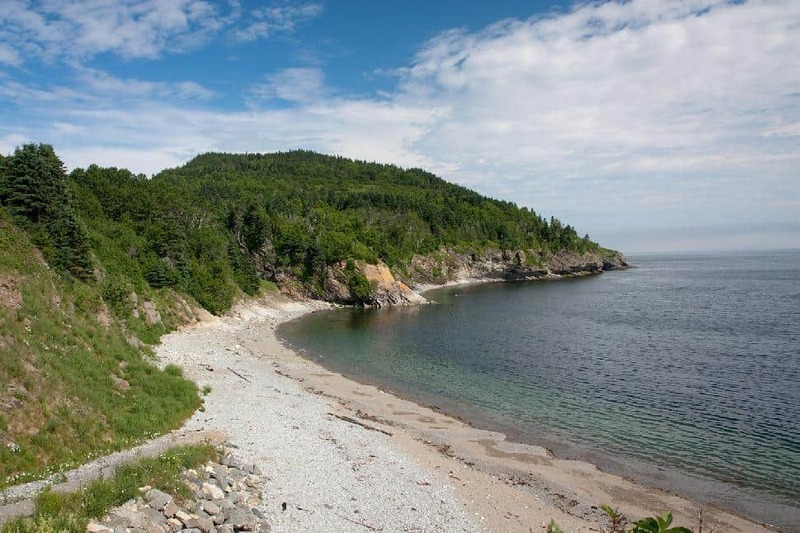 Description: With over 250 public beaches, there are tons of places to practice your swimming strokes around Quebec. Rivers and lakes run through National Parks, making prime serene spots to take a dip. Some of the best beaches in the province include Parc Jean-Drapeau Beach, Saint-Timothée Beach, Lac Simon Beach and Saguay Beach. Description: Fishing is a popular sport in Quebec, mainly because of the diversity of fish available. Perhaps the most sought-after fish in Quebec is the Atlantic salmon. There are strict rules governing how much and where you can fish, so be sure to check with government officials and Aboriginal groups prior to fishing in Quebec. Description: The Levis Ferry crosses the St. Lawrence River from the port in Old Quebec to Levis. 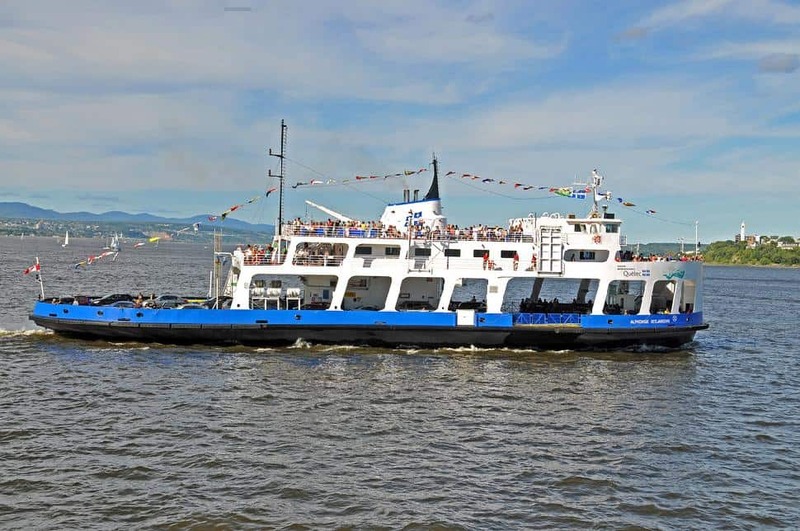 The ferry is part of a beautiful bicycle route that extends from the Littoral in Quebec City to parcours des Anses in Levis. The crossing only takes about 12 minutes, but the ride offers gorgeous views of the North and South shores from the water. The best time to go: at dusk, with sunset views and city lights or in winter, across snow and ice. Embrace the cold or warm up with these awesome winter activities. 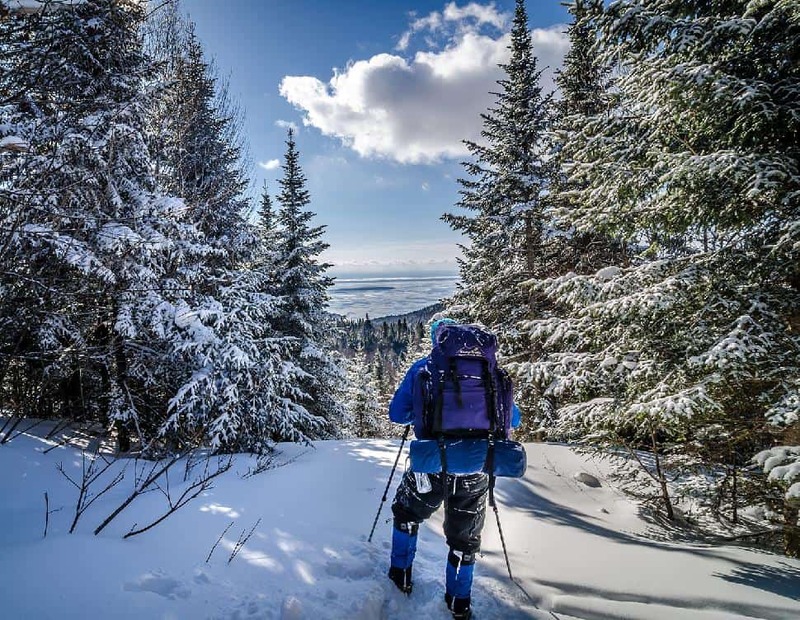 Description: Nothing feels more Quebecois than strapping on snowshoes and trekking through the vast, white wilderness—except for strapping on snowshoes and trekking through the vast, white wilderness to a traditional log cabin and inulging in fondue next to a wood-burning fire. Mont Tremblant hosts rustic, moonlit-tours, chocolate and cheese included. Price: $86.99/Adult (13 and over), $59.99/child aged 8-12. Description: Arctic Adventure rents out snowmobiles and organizes half-day and full-day snowmobile tours around Entrelacs. 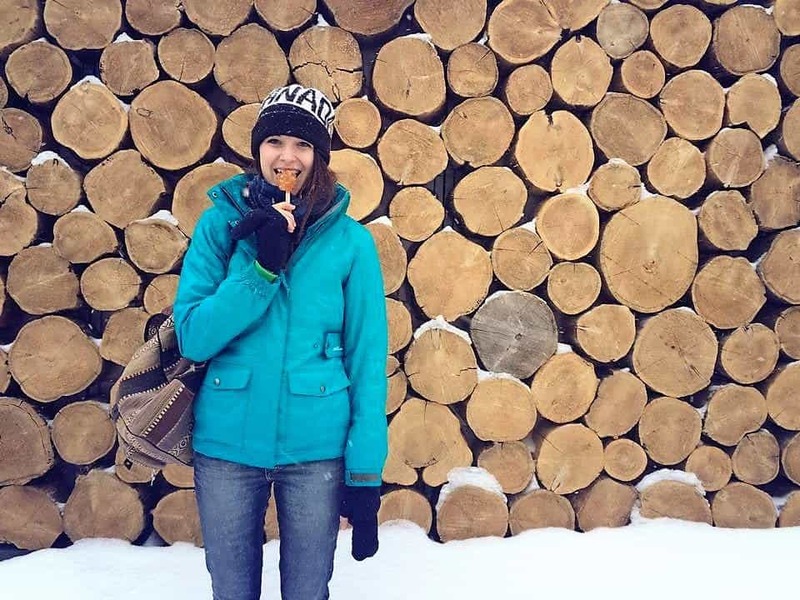 Cross snow-covered forests and drive over deeply frozen lakes, led by a knowledgeable guide. Whether you want to go full-throttle or explore at a leisurely pace, seeing Quebec by snowmobile is an adventure on its own. Description: Bundle up and take off across the tundra, pulled by a team of 6 energetic huskies. You and your partner can switch off being the musher, or opt to have a guide steer the dogs around. Once you try it, you’ll be hooked! 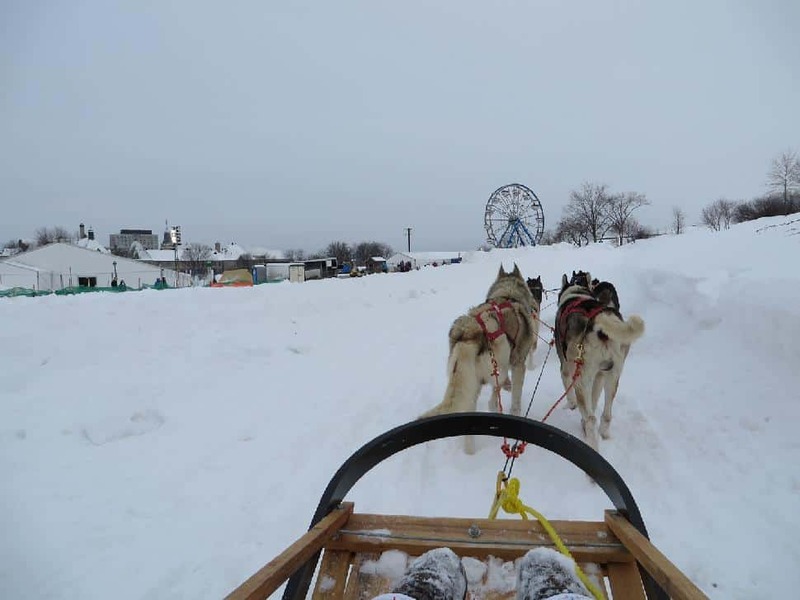 New - You can now dog-sled in the summer with Timberland Tour's Dryland Dog Sledding. Located in Bristol, the company trains their dogs year-round to keep them in shape. Up t 8 adults can fit on their dryland rig, equipped with a wheel for steering. Click here for more. Description: Glide down the highest slope east of the Rockies on your skis or snowboard. With 52 trails, the majority of which are rated “Extremely Difficult,” this is no bunny hill (though they do have one, if you need). They also have a terrain park and trails for tobogganing, snow shoeing and cross-country skiing. Price: One day tickets: $75/Adult, $66/seniors, $54/youth (13-17), $37 children aged 7-12. Description: Catch glimpses of the St. Lawrence River while navigating this ski hill on a fat bike, snowshoes, skis or snowboard. There are plenty of activities on and off the alpine mountain. Go ice skating, paragliding or soak in a Nordique spas. Getting outside doesn't always have to mean getting your hands dirty and your heart pumping. Sometimes, you just want a quiet garden to sit in and read your book, or the perfect park bench to people-watch from. Description: Take a day to explore 75-hecatres of intricate, gorgeous gardens. Inside, you will find 22,000 species of plants and cultivars, 10 exhibition greenhouses and around 30 thematic gardens, including a First Nations Garden, Toxic Plants Garden and the Garden of Innovations. Price: $19.75/Adult, $18.25/senior, $14.50/student, $10/child aged 5-17. Children 5 and under free. Description: Giant poplar trees shade wide walkways. A fountain and a waterfall connects two ponds. This 40-hectare park is the perfect place to play some pick-up soccer or spread out a picnic and wade into the water on a warm summer day. Description: Gatineau Park is accessible and enjoyable in every season. Go boating in the summer, cycle through the spring, cross-country ski in the winter and go geo-caching in the fall. 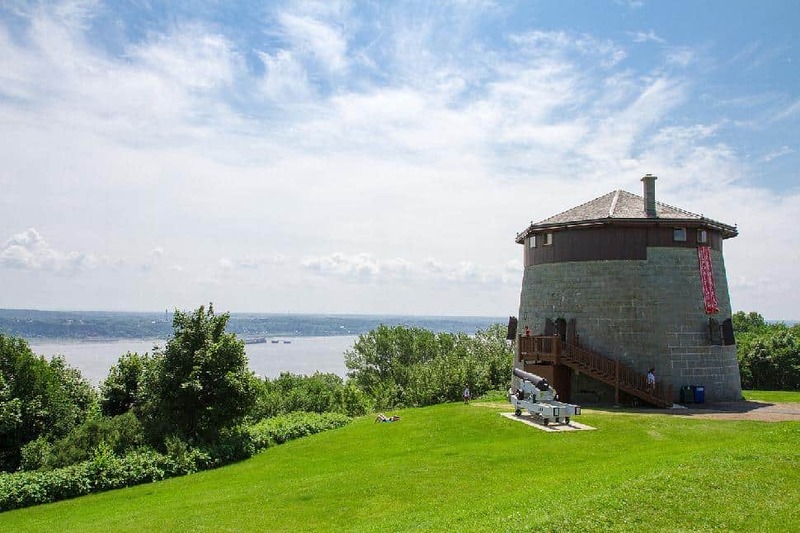 Champlain Lookout offers the most popular view from the park over the Ottawa Valley. Description: In 1926, Elsie Reford decided to plant a garden in her fishing camp along the St. Lawrence River. Despite numerous hurtles, ten years later, the construction was finished. Her garden was a marvel of exotic and beautiful plants. Previously closed to the public, the Reford Gardens are now a publicly accessible National Historic Site. Location: Grand Métis, between Rimouski and Matane. Price: $20/Adult, $19/seniors, $17/students, $10/young adult aged 14-18. Children 13 and under free. Description: Built in 1953, the Granby Zoo is one of Quebec’s top tourist attractions. Experience animals in their natural environment by travelling through replicas of Africa, South America, Oceania, Asia and the South Pacific. Price: Summer Rates: $38.95/Adult (13 to 64 years), $30.95/seniors, $25.95/child aged 3-12, $12.95/toddler (2 years old). Children under 2 free. 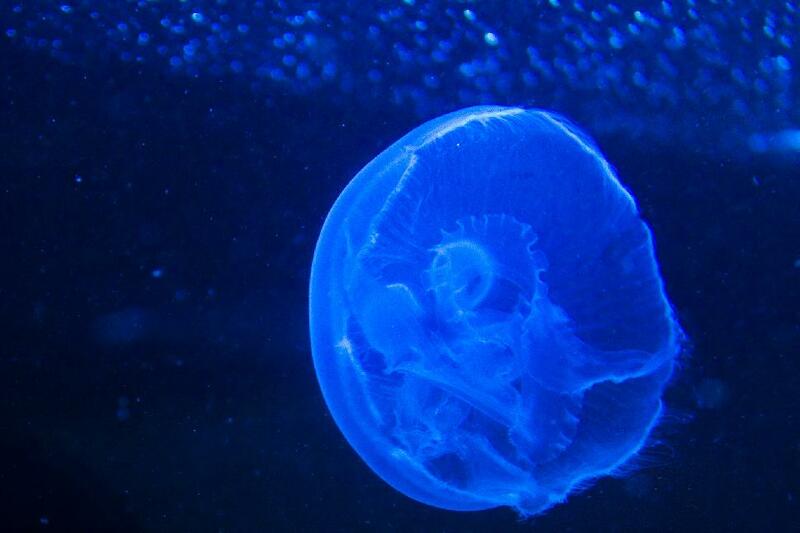 Description: Over 10,000 fish, reptiles, amphibians, polar bears, walruses and seals call the Quebec Aquarium home. Outdoors and indoors, spread over 16 hectares, there are educational shows throughout the day. Price: $18.50/Adult, $16.50/seniors, $9.25/children aged 3-17. Children 3 and under free. Description: Spend the day playing with farm animals and enjoying 50 hectares of green space at the Nature Center in Laval. In the summer, kids can take a pony ride for $3. A small train offers transport around the recreational area for $3 per person. Come to relax, play and enjoy! Description: Walk, run or cycle next to the water along the Promenade de Samuel Champlain. The four sections of the promenade include Station des Cageux (a wetland with access to a waterslide), Boisé de Tequenonday (which has a small lookout with a wonderful view), Station des Sports (which contains two soccer fields and a multi-use grass area) and Station des Quais (the cultural focal point of the Promenade). Wherever you go, you’ll be next to the water. 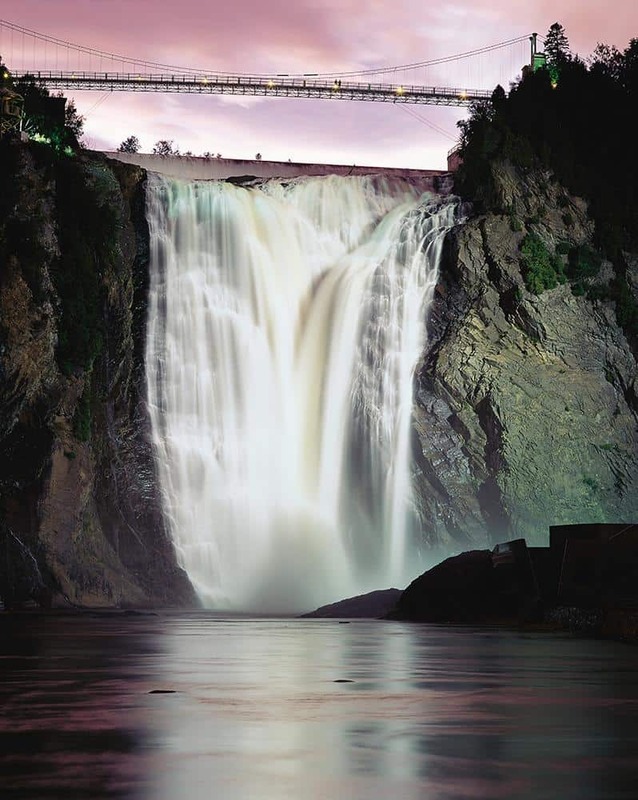 Description: This gentle, 45-minute walking tour takes visitors to the impressive 74-metre high Sainte-Anne waterfall—that’s 21 metres higher than Niagara! Not for those with acrophobia, guests can wander across canyon via the highest suspension bridge in Quebec, 60 metres above the ground. The more adventurous can choose to zip-line or tackle the Via Ferrata. Price: $13.50/Adult, $10/youth (13-17), $7/child aged 6-12. Children 5 and under free. Description: Few places in the world are as remote and unspoiled as the Anticosti Island. Meet the lighthouse keepers, go fly-fishing and explore the national park for a serene island escape. Quebec's outstanding National Parks fill the province, from the far north to the south, bordering the United States. Description: Nature is at your fingertips in Forillon National Park. Get up close and personal with sea lions, scan the horizon for breaching whales and take a dip in the water yourself. There are several historical buildings scattered around the park, such as the old General Store, Lighthouse, fisherman’s house and barn and World War II gun installations. 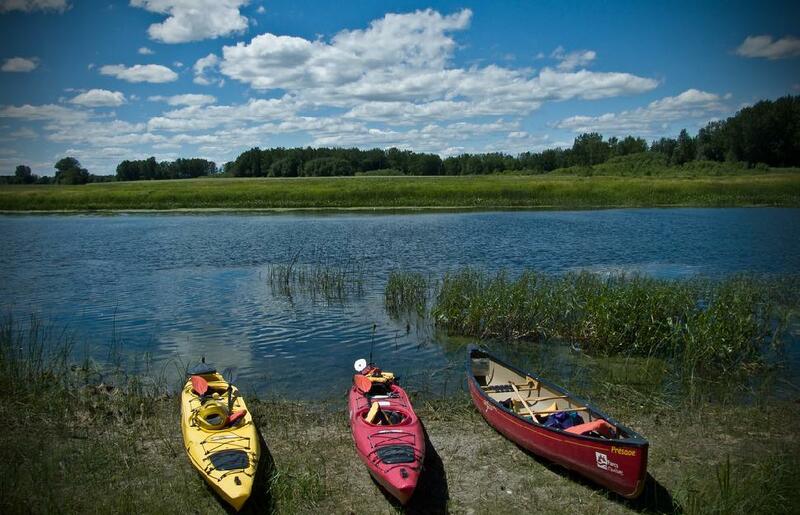 Description: Canoe or kayak through the third largest lake south of the St. Lawrence in Frontenac National Park. Bird-watchers will want to bring their books, as there are 200 species of birds to spot throughout the park. 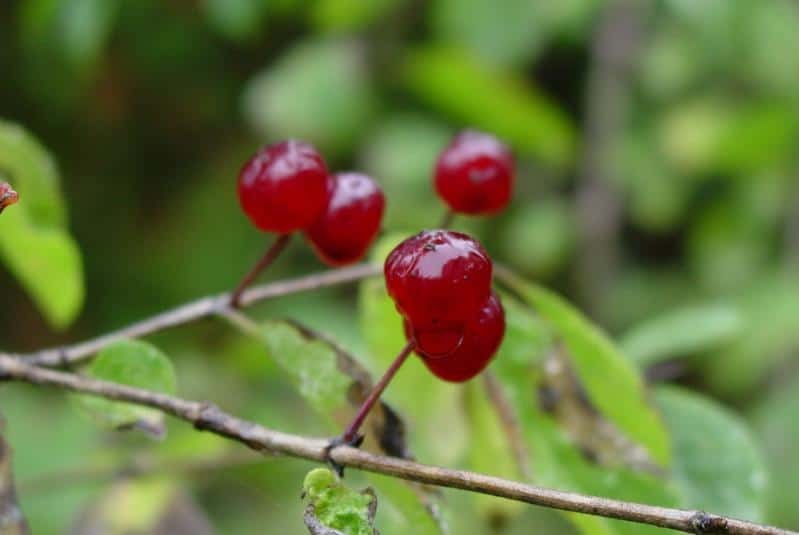 As you explore, watch for wild orchids and rare carnivore plants. Description: Parc National du Mont-Tremblantis Quebec’s second largest national park, after Parc National Kuururjuaq. Six rivers and hundreds of lakes and streams run through it, making it a paradise for canoers and beach bums. The vast wilderness is home to 40 different types of animals that enjoy the park as much as human visitors do. Description: With over 100 kilometres of hiking trails, a winding river and deep valleys formed by glaciers spanning 670 square kilometres, Jacques-Cartier National Park is an adventure-lovers haven. 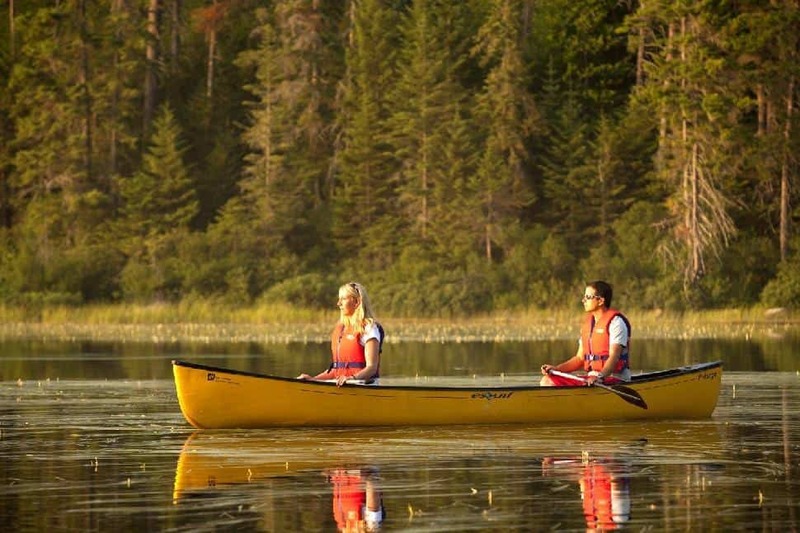 The Eastern Borealis forest offers practically endless activities: go canoeing, kayaking, dog sledding, skiing, tubing, snowmobiling, snow shoeing, bird watching, rafting, horseback riding, off-roading, golfing or mountain biking. You definitely can’t say there’s nothing to do here! Description: Topaz blue waters, verdant green valleys and unbelievable sunsets await in Aiguebelle National Park. Features of the park include a 22-metre-high suspended footbridge, rustic shelters, a spiral staircase and a floating walkway. 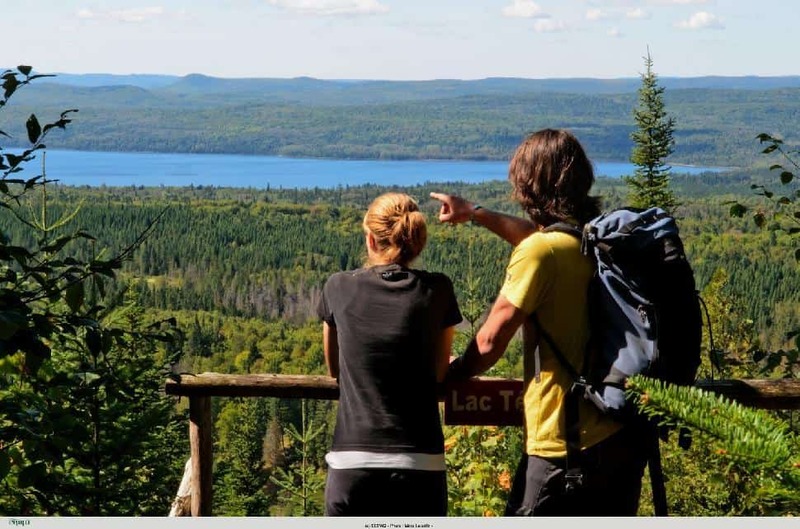 Description: There are eight hiking trails to tackle in Lake Témiscouata National Park, but the real gem is the water. SUPs, pedal boats, kayaks and fishermen make good use of the three lakes scattered throughout the park, including the largest lake in the region, Lake Témiscouata. Description: Chalk full of mountains, caribou and moose, Gaspésie National Park is attractive to hikers and wildlife photographers. Stay overnight on the alpine tundra or sleep in luxury in the 4-star Gîte du Mont-Albert Hotel. Description: Stretching from the sea to the mountains, over 4,000 square kilometres of stunning nature encompass this massive National Park. This is an important cultural and spiritual region for the Inuit who call it home. Parc Nunavik leads guided expeditions through the park for visitors who don’t know where to start. 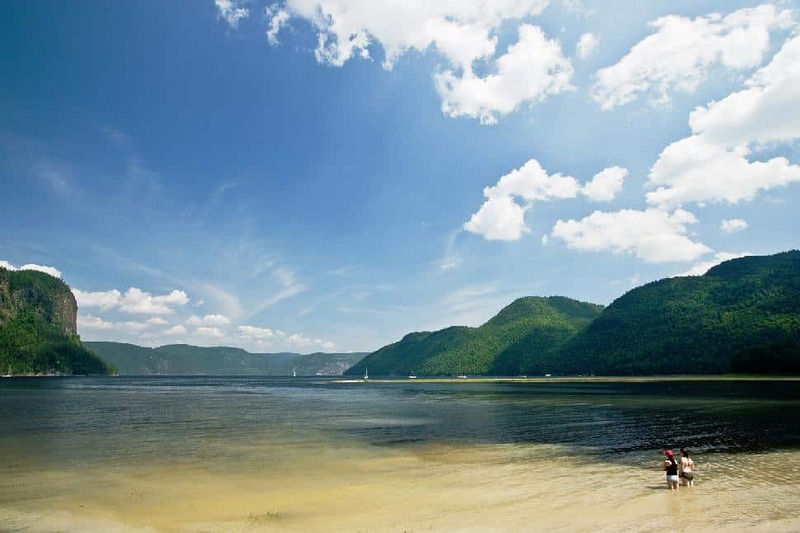 Description: TripAdvisor lists Saguenay Fjord National Park as the #1 thing to do in the area—and it’s obvious why. Many cruise ships stop here for the incredible forest and mountain scenery. Attempt the challenging Via Ferrata for incomparable views or jump on an inflatable Zodiac boat for a tour from the Rivière Saguenay. Description: Listen to the call of a loon of owl reverberate over the waters. You can be as remote as you want—there are over 150 lakes to choose from within the park. Waterfalls cascade into pools fit for swimming and well-worn trails with wooden walkways and staircases make exploring a breeze. 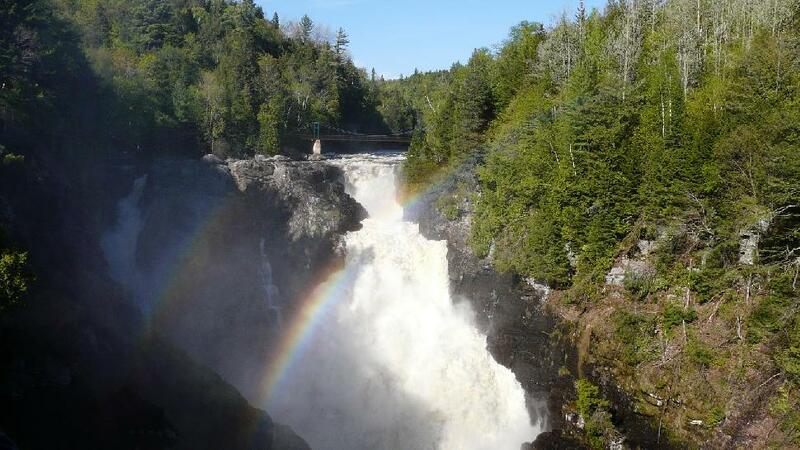 Natural, serene and abundant with wildlife, La Mauricie National Park is an escape you won’t want to leave. Alright, we get it. Not everyone wants to get outside and explore (though you should still give it a try!) We all need a little retail therapy now and again. 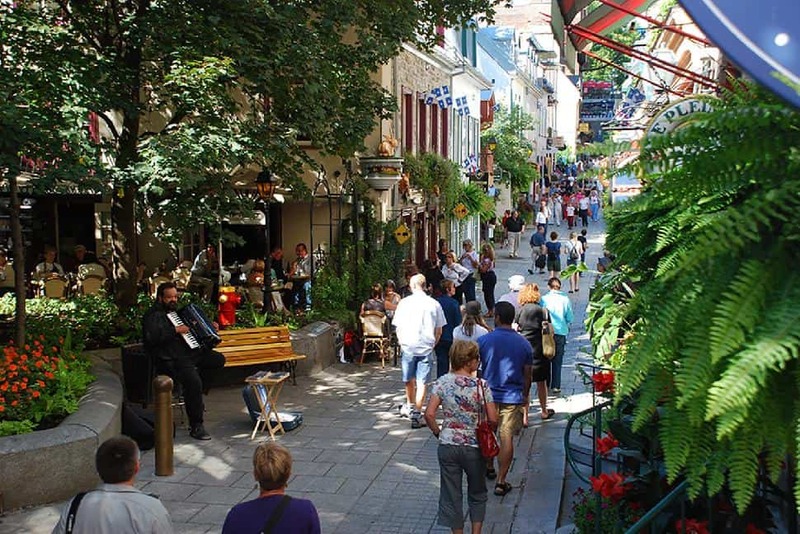 Lucky for us, Quebec has boutique shops, quirky souvenir stores and more than enough markets to satisfy the shopping bug. Description: Nestled in the Plateau neighbourhood, this trendy boutique and used clothing store offers daily treats at their bistro, like cookies, popcorn and tea. 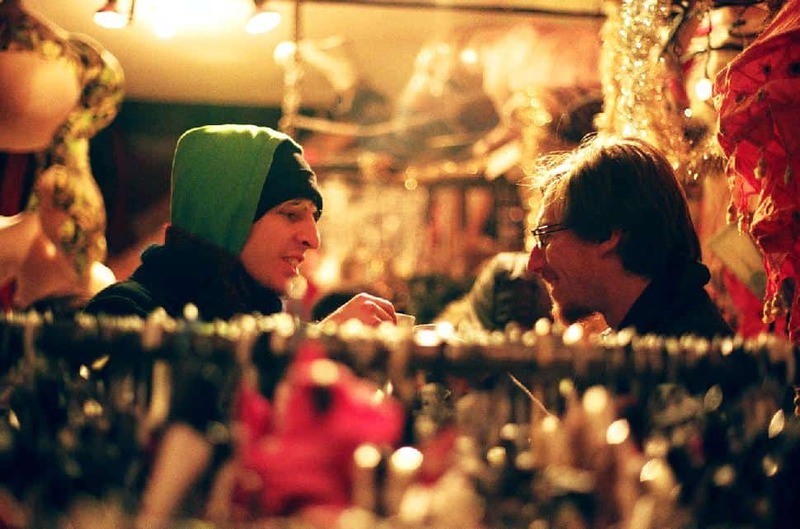 Eva B is full of vintage items, unheard of designers, loud patches, paperback books and quirky house-hold decor. Description: Known for excellent quality meat, produce and delicacies, Atwater Market is a unique shopping street in Montreal. Blueberries, raspberries, pies and sausages perch in wooden stalls, surrounded by immaculate 19th century buildings. Description: Underground tunnels connect universities, office buildings, stores, and residential and commercial complexes. The underground segments are part of the original Metro. The Underground City makes a great escape from the cold winter weather and humid summer heat. Description: Browse boutiques, art galleries, jewelry stores and sweet shops in this quaint, cobblestone pedestrian street. When your feet get tired of wandering, there are plenty of restaurants, pubs and cafes to retire to with your purchases. Whether you want to buy paintings to add to your collection or just browse some of Quebec's best artists, these galleries will inspire your artistic side. Many of the galleries are ran by the artists that supply it. Description: Showcasing the best work by Inuit artists in Quebec, this gallery represents the regions of Nunavik, Kivalliq, Kitikmeot, Baffin and Inuvialuit. Pieces include serpentine sculptures and caribou wood carvings for sale. Description: Montreal’s Museum of Fine Arts has impressive collections of Modern Art, Quebecios and Canadian Art, International Contemporary Art and more. Spend a rainy afternoon discovering Archeology and World Cultures or enjoy a sunny day in the Sculpture Garden. Price: $20/Adult aged 31 and up, $12/young adult (13-30), children 12 and under free. $10 on Wednesday evenings after 5 p.m. Description: Mainly carrying paintings and photography, Han Art Gallery also welcomes travelling exhibitions throughout the year. Artists such as Manuel Lau, Louis Boudreault and Paul Fournier showcase their works at the gallery. Description: Although this gallery focuses on Quebecios artists, it also features art from across Canada, the United States and the Caribbean. Emerging artists’ work is displayed next to world-famous artists, across the mediums of painting, photography, sculpture and works on paper. Description: Ground-breaking digital design and contemporary art research are undertaken in Centre Sagamie. Influential artists are granted residencies to expand their crafts on site. This gallery is free to explore. Description: The INAC art collection is comprised of over 4,000 works of contemporary Aboriginal art. In the late 1960s, INAC became the first federal government institution to support the development of Aboriginal art in Canada. 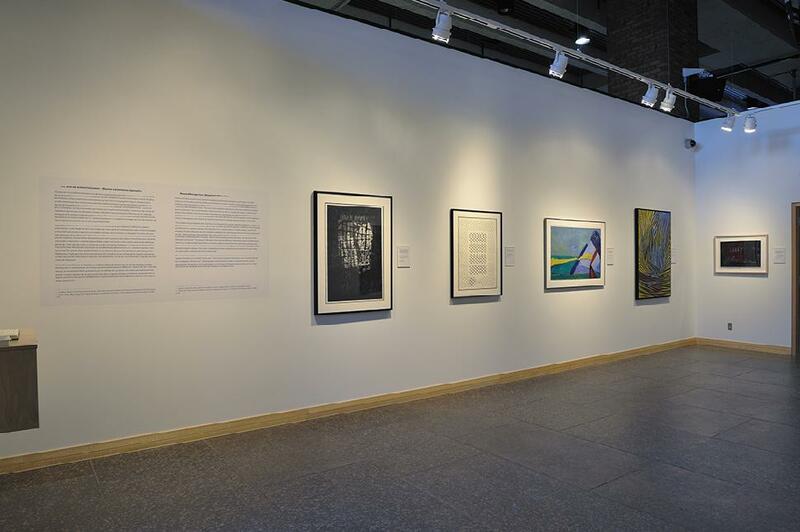 The gallery features scheduled exhibitions and showcases a selection of this large, dynamic collection. Also, there is no admission fee! Description: Designed by award-winning architect Pierre Thibault, this building is itself a work of art. Inside, guests will find a collection that carries over 400 works. The famous names in the history of painting in Quebec and high-quality exhibitions showcased by the art gallery has led to its recognition as a museum. Price: $10/Adult, $7/students and seniors, free for children 12 and under. Guided tours available for $15/person. Description: This artist-run centre hosts workshops for children and the general public. They have a bookstore, professional space and revolving exhibitions. The Centre involves itself in regional activities and provides an artistic space in the community. Description: Founded by a Laval artists’ association, this gallery is the only artist-run centre in the city. It strikes to be a jumping off point for emerging artists and to promote the artistic community in Laval. New media and traditional art forms are welcome here. Description: Ran by artists, for artists, Axenéo7 is dedicated to promoting and pushing the boundaries of contemporary art. The gallery invites artists to submit their work and is open to critiquing art while improving artists’ conditions for creation. One thing Quebec is great at is throwing a party. Celebrate Francophone culture, dance to live jazz music in the streets or cheer on cyclists at the Grand Prix. There's always something going on, so be sure to check online for timely events! 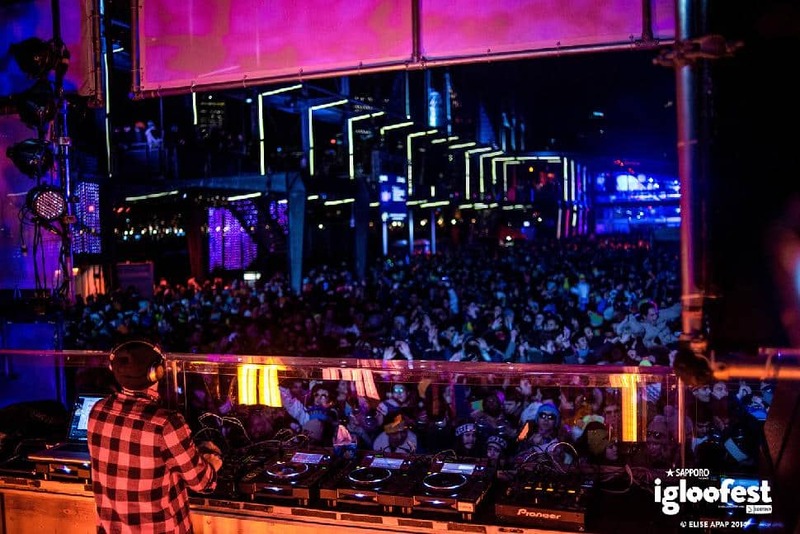 Description: Throughout January and February, top national and international DJs take over Montreal’s Old Port once the sun goes down. This 4-week festival mixes electronic music with ice slides, sumo wrestling and a marshmallow roast. Since it’s all outdoors, you’ve got to dance to stay warm! Price: $20 for one night. Packages available online. Description: Quebec’s Winter Carnival is an annual event that includes an ice palace, an international snow sculpture competition, a winter canoe race and a night parade. Since 1894, the Quebecois have been celebrating with winter-themed activities to keep them warm in the brutal, long winters. Description: Located in a maple grove, the forest comes alive with cozy fireplaces and traditional country music every spring. The festival celebrates the Quebecois cultural creation of maple taffy on snow. 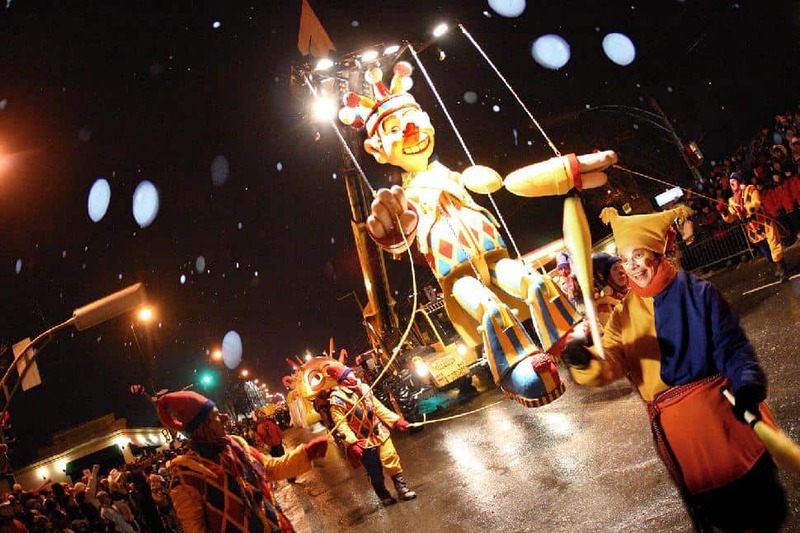 It is one of Quebec’s oldest festivals. Beyond sugary treats, there are family-friendly activities, such as a folk gala, softball tournament and inflatable games. 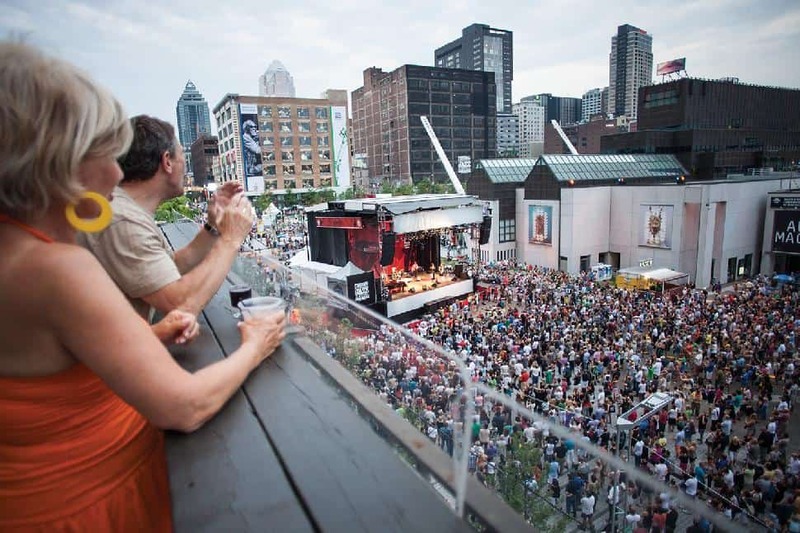 Description: Every year, for over thirty years, the Quartier des Spectacles transforms into a music-lovers haven for 10 days in June and/or July. Featuring 3,000 artists from across the globe, this is an inclusive event for families, friends, seniors and singles. Price: Two-thirds of the concerts are free! Description: Francophone culture is celebrated across Canada and throughout the world. The biggest celebration of French culture, language and music takes place every year in Montreal at the Les FrancoFolies de Montreal. Enjoy live world beat, electronic and rock music at indoor and outdoor shows. Description: Street festivals, galas, solo and theatre performances and concerts and special events are all a part of the Just for Laughs Festival in Montreal, the largest comedy fest in the world. Come for one of 1,200 free outdoor shows or stay for the entire weekend of gut-grabbing humor. 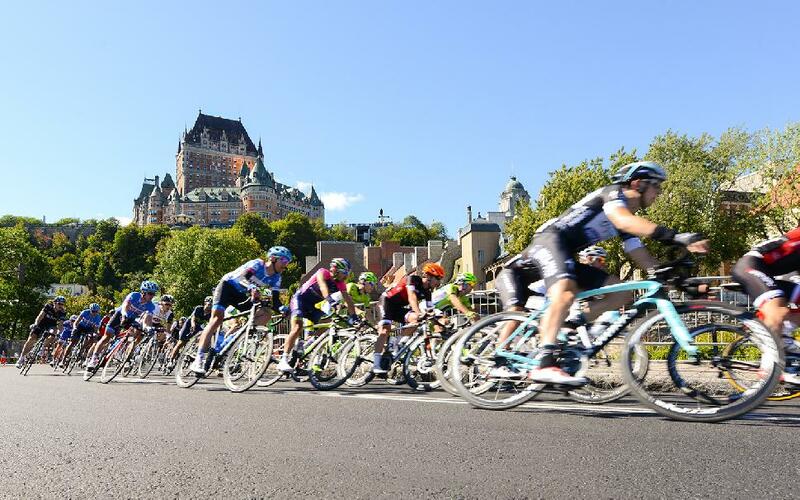 Description: Cheer on professional cyclists as they race through the streets of Quebec City and Montreal. Occurring in September, each race covers over 200 kilometres on a city circuit. Teams from around the world enter and compete in this event. Which of these 89 things have you experienced?